White chocolate time. I'm thinking this will work pretty good! I was not being patience my first time around and managed to crack off a huge chunk off the side, though thankfully it makes for a somewhat interesting picture. Do I like it? Ofcourse! 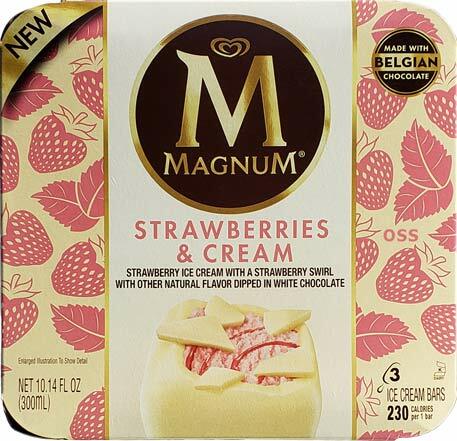 I'm an old fashion kind of guy who still likes strawberry ice cream and it's nice to finally get a fruity flavored magnum bar that's paired with a nice white chocolate coating. 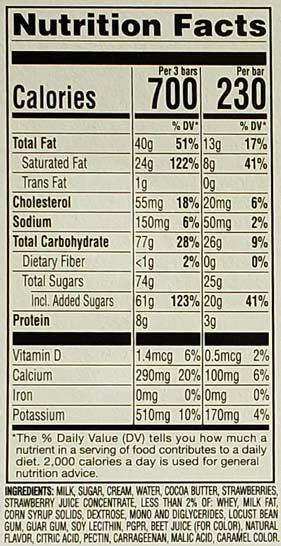 You may remember that I thought the white chocolate vanilla tubs were a bit much but this combo is much more balanced. I really only have the smallest complaint about this bar. No, I don't have a problem with the density of the ice cream, it seemed fine today. What I really wonder about is this small bit of oddness that was coming from somewhere. I think it may have been the swirl. It just had this bit of weird lingering aftertaste and I wasn't positive where it was coming from. Well, it's not from the white chocolate, but it was there... not that it stopped me from inhaling this bar. So, we've got a tasty new addition to the U.S. line up. I'm a little shocked we didn't get this sooner but maybe they were too busy trying to wow us with cocoa nibs or gold coating. If these seem tempting, go ahead and grab a box! (found at Stop & Shop [Giant] but should also be popping up at Walmart and other locations). This would make an excellent pint. 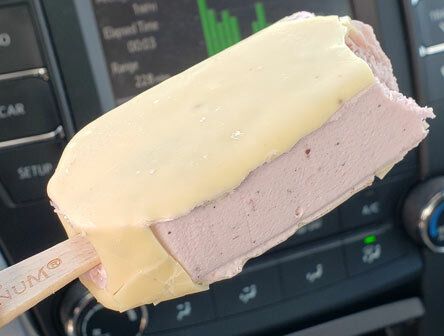 I know you know how much I like the Magnum pints, but I agree that the white chocolate vanilla pairing was a bit too much. Pairing that chocolate with strawberries just sounds right on all levels. I have tried a variation of this in the UK, and thought it was quite good. I am excited to try this to see how it compares. I am also pretty excited about their new pints. The addition of sauce sounds interesting. Hey dubba did you see turkey hill is now going down the frozen dairy desert hole? Looks like most of their limited edition flavors this year are changing to FDD. Great. Is Ben & Jerry's Target-exclusive Peanut Butter World no longer exclusive? I spotted it today at one of my non-Target local supermarkets, but the pint packaging still said "Exclusive Flavor"... So, either this is in some kind of transition, or someone totally bought some contraband Target merch for resale! @Anon: just saw the new pints today!